The yurt (sleeping 2) is in an exceptional location - open the door in the morning to stunning Mawddach Estuary views. 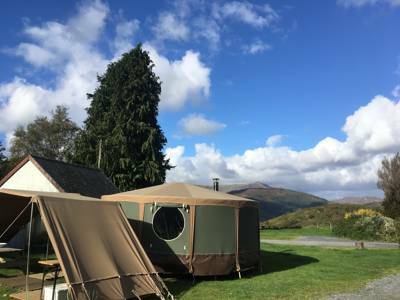 The ultimate camping and glamping base for exploring Snowdonia. 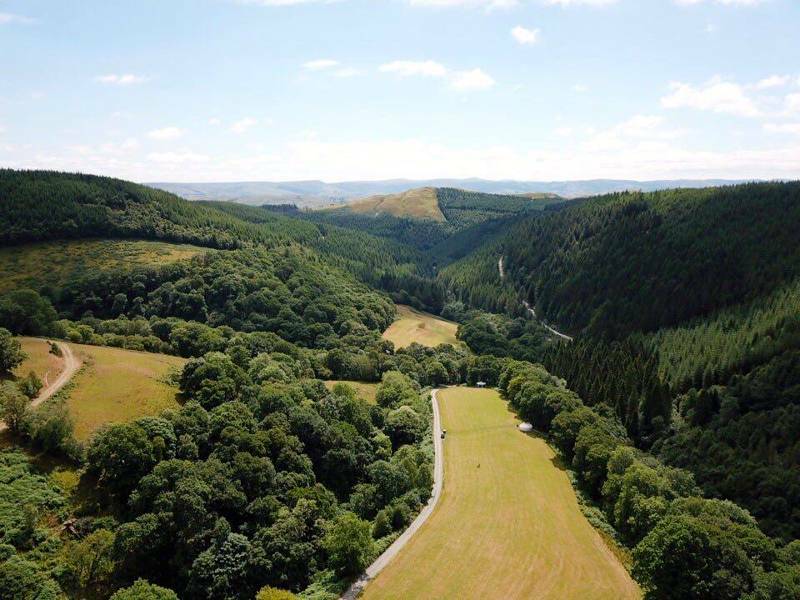 Graig Wen is one of the smartest operations in the book; not only a campsite (which won a Green Tourism award a few years back), but also a great place for glamping and with a super-luxurious and beautifully located B&B and four self-catering cottages too. On the glamping side, they start with two cosy yurts – a small one sleeping two, and a larger one with room for five – and a bell tent sleeping four, while a couple of other 'pop-up yurts' move around the site according to the season. Even more romantic is the ‘Caban’ – an innovative, hexagonal timber structure which has 360-degree views of the surrounding countryside, a Scandinavian feel and comfortably accommodates two. Like the yurts it has a wood-burning stove (a basket of logs is provided), crockery and cutlery, and futons covered with warm blankets. 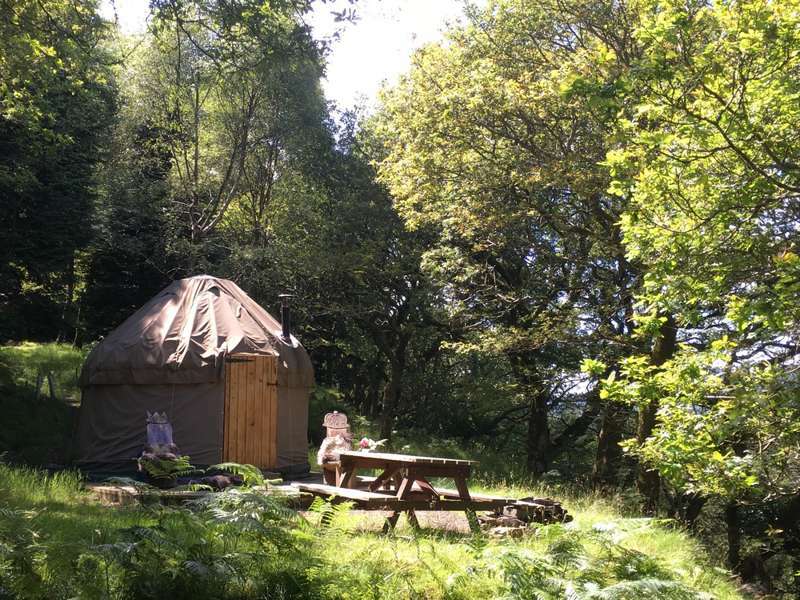 Isolated and sheltered among dense woodland, both the yurts and the caban offer total privacy from the main campsite. The great thing about Graig Wen is that there's so much to do nearby, with or without your car. Intrepid walkers could tackle Cader Idris, the spectacular mountain right at the back of Graig Wen. Bikes are available to hire and using the estuary cycle path you can cycle all the way to Barmouth without even seeing a road – and virtually the entire route to Dolgellau in the other direction is road-free, too. There's also a stack of more challenging mountain-bike trails at nearby Coed-y-Brenin, around 5 miles north of Dolgellau. And you should know that Graig Wen is an ambassador for the Snowdonia Dark Skies Reserve and has various special events pertaining to this in the latter part of the year. 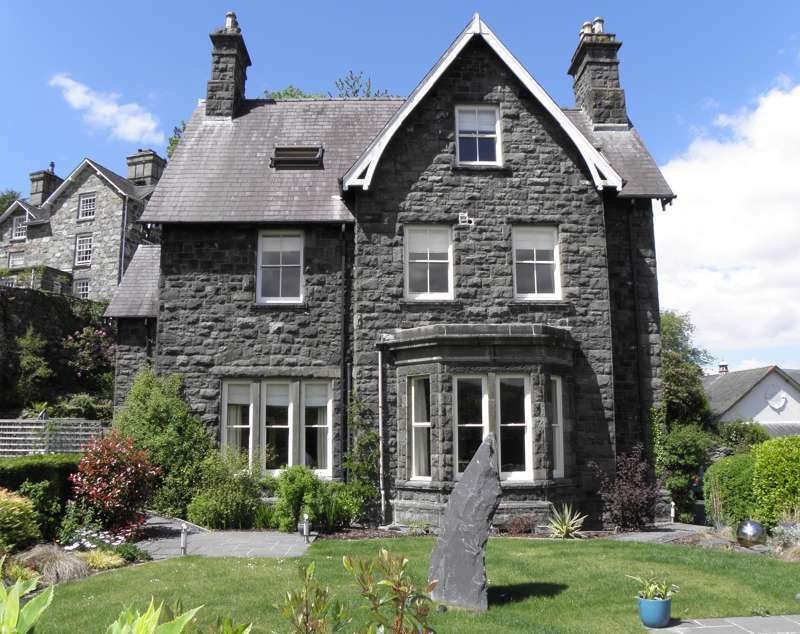 Is there anywhere that has such a wide choice of high-quality holiday accommodation as Graig Wen, and is also such a great base for exploring Snowdonia? We doubt it. 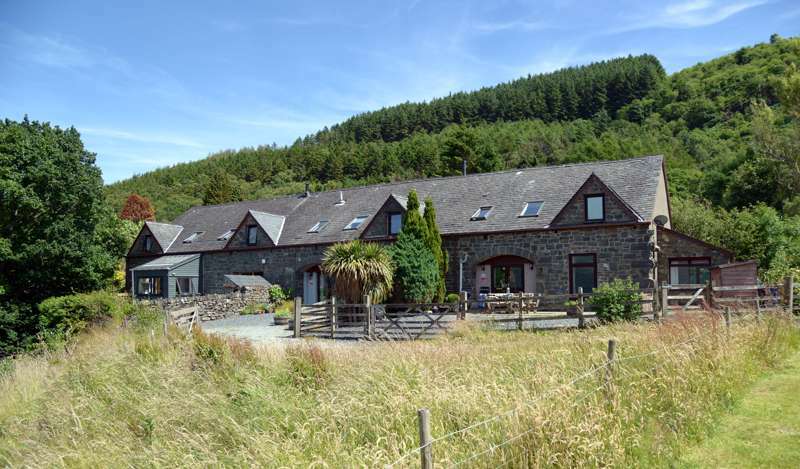 Our self catering holiday accommodation in Snowdonia National Park, near Barmouth and Dolgellau, North Wales is in an exceptional location. Overlooking the Mawddach Estuary, one of the most beautiful in Wales, the views are breathtaking. Step straight onto the scenic Mawddach cycle Trail from our camping field. The mountains are all around, with sandy beaches, castles, steam trains, zip lines and bike trails close by. 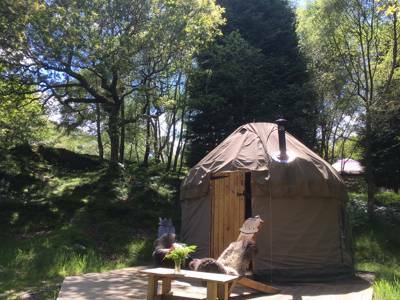 Whether you prefer a cottage, cosy yurt or sleeping under the stars, Graig Wen offers you a range of quality accommodation. Our small, tranquil campsite has direct access to the beautiful Mawddach Estuary. 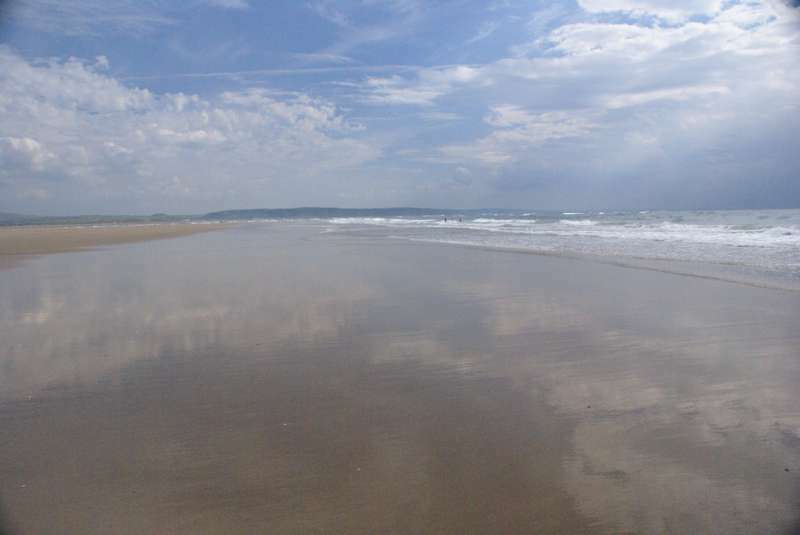 There’s a sheltered area with electric hook ups for 10 vans or smaller tents near the showers and our holiday cottages. 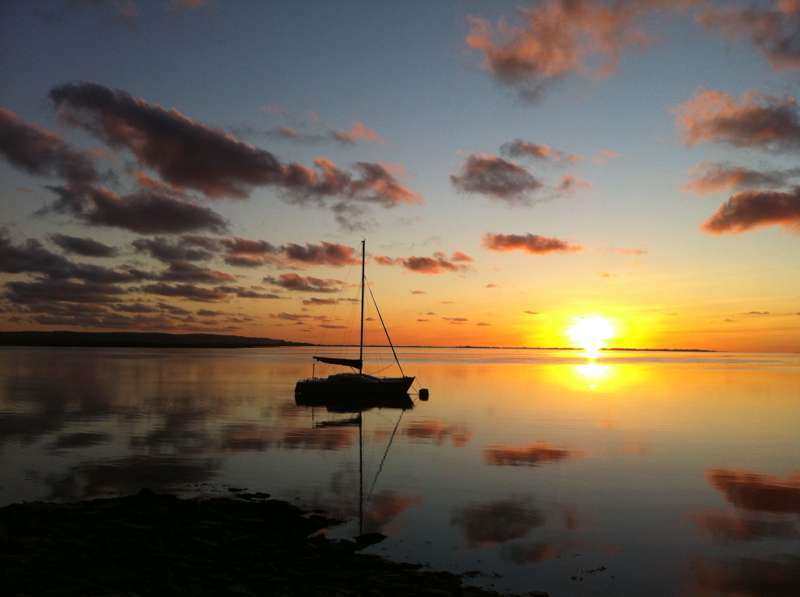 If you really want to get away from it all, go wild and pitch your tent down near the estuary to star gaze around a camp fire. Dogs on leads welcome. For family glamping adventures and romantic retreats you can also hideaway in one of our four pet-friendly yurts. 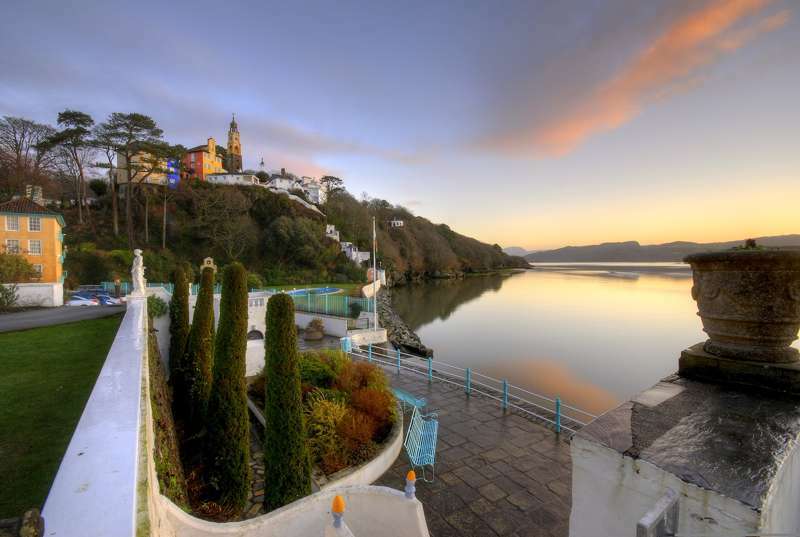 You’ll be blown away by the views, scenery and seclusion…but have a bit of comfort too! 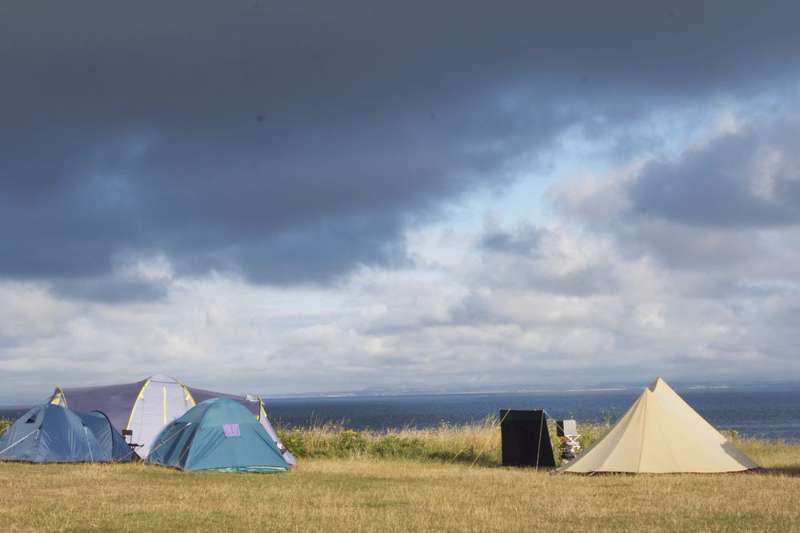 In recent years we are proud to have featured in The Guardian’s 10 Best Glamp sites, The Times' Coolest Places to Camp, The Independent’s 10 Best Luxury Coast Camp sites, as well as Country Living Magazine and many more. 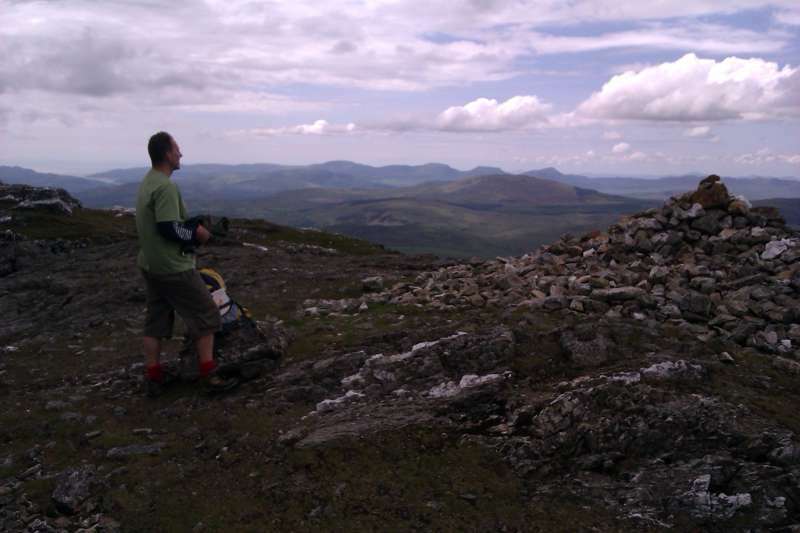 Tents, campervans, caravans, glampers, dogs, cyclists/mountain bikers, walkers – in fact it’s hard to think of anyone who wouldn’t enjoy Graig Wen. Cadair Idris (892 metres) - clambering up the mountain is a great local option and the Pony Path makes is family friendly. Alternatively walk straight off the camp site along the stunning (and flat) waterside Mawddach Trail to the seaside treats of Barmouth. Go crabbing or visit Knickerbockers ice-cream parlour. 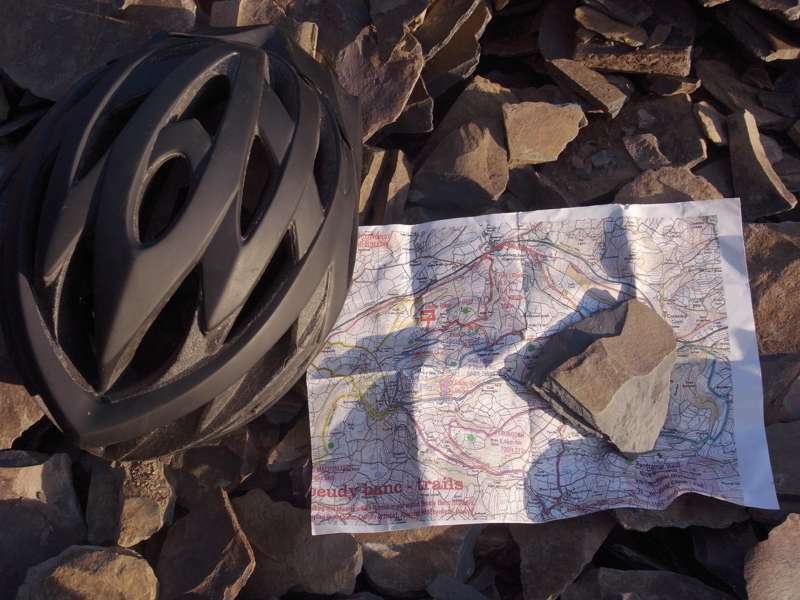 As well as the cycle track along the estuary to the Fairbounre beach, there’s mountain-bike routes for all abilities, at nearby Coed-y-Brenin (01341 440747), around 5 miles north of Dolgellau. Head north to Llechwedd Slate Caverns where Zip World (01248 601444) is hugely popular. Over 8km of wires are strung throughout the mountains providing a truly unique areal experience. Slightly more theme park-like, King Arthur’s Labyrinth, on the A487 between Dolgellau and Machynlleth (01654 761584) is an attraction themed around ancient myths and legends. Every third Sunday of the month Dolgellau holds a Farmer's Market. The owners sell eggs, ice cream, marshmallows and breakfast hampers in high season (local bacon, sausages, bread, juice) for £30. Stock up on local produce and tasty treats at the Country Market on Thursday mornings, or the Farmer’s Market on the third Sunday of every month, both in Dolgellau. Down at Fairbourne, the unassuming Indiana Cuisine (01341250891) is a pleasant surprise. South Indian specialities are created with colour and flourish from fresh ingredients and traditional home recipes. Plenty of non-spicy options available. Good pub grub at The George III Hotel (01341 422525) 5 minutes drive or an hour's delightful walk along the estuary cycle trail. 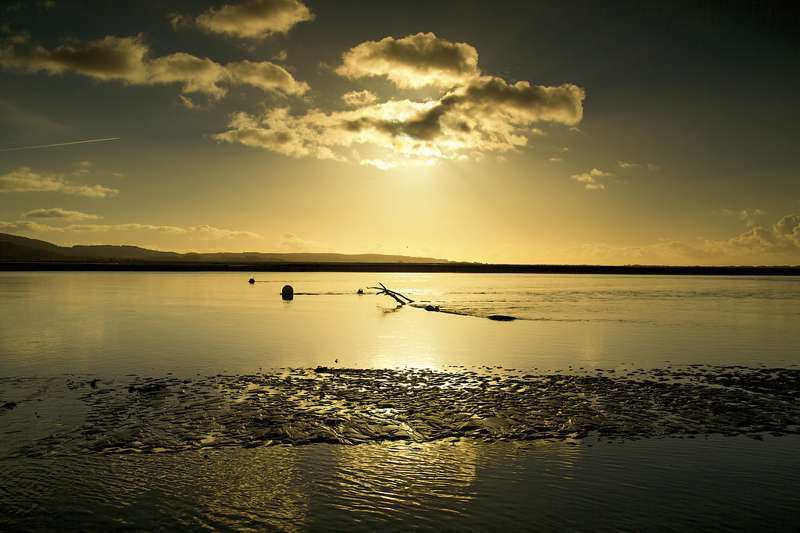 Locally produced lamb, beef and fish can be enjoyed outside in view of the estuary. Test your animal-spotting skills – owls, nightjars, glow-worms, badgers and kingfishers are all in residence here. There are a couple of ropeswings, plenty of trees to climb, occasional wildlife walks and bikes to hire. In the car-free lower field you must park a few hundred meters away. Drop off service available 2 - 4pm and on morning of check out. Wheelbarrows provided to move your kit. 2 new unisex showers on lower tent camping fields plus more on the upper touring van site and one just for glampers. Electric hook-ups (£3.50 per night). Campfires allowed on lower fields and communal camp fire for touring site (bag of logs £5). Hire cruiser bikes on site (£20) or at Dolgellau Cycles (0044 1341 423332) call for prices. For latest availability and best prices for Graig Wen, please use the Date Search above. This campsite really helps to get away from it all but also provides useful amenities such as the honesty shop to make your stay comfortable. We had one of the pitches you could park your car next to which was convenient for us. I loved the fire pit on our pitch!! Every campsite should have these and the marshmallows in the shop helped. There are only 2 showers on site right at the top, I'd imagine it's a bit of a trek from the lower pitches but that's part of the charm. We didn't have to queue which was good. We wanted to hire a bike to bike from dollegeleu to barmouth but unfortunately the bike shop in dollegeleu had sold out. I would advise taking your own if possible. Would like to do more walking next time we come! We stayed at Graig Wen for the first part of our honeymoon. We were in the caban - a wooden cabin with a wood burning stove and cooking facilities inside. It was lovely, despite the rotten weather we had. Cosy and warm, comfortable futon, lovely light from the glass window in the centre of the ceiling, and good facilities to cook from. The view was limited due to fog but on the first day when we arrived in sunshine, just a walk down the hill gave stunning views (when the fog lifted!) of the wonderful Mawddach Valley. The showers were very good - free, and with lots of those useful little things like plenty of hooks to put clothes and towel on, space to change without everything getting wet, and a mirror and shelf for lenses or make up. Loos were spotless and washing up either outside or inside - could have done with a bit of light on the indoor sinks but not a problem. Lovely small site, very friendly, great shop with local maps and produce and a separate honesty shop. The area is stunning - we cycled the Mawddach Trail to Barmouth, enjoyed Dolgellau and a trip to the Centre for Alternative Technology, white water rafting at Bala. Weather wasn't good enough for Snowdon but another time. 4 yurts, (sleeping 2–5). Welsh Caban (sleeping 2). Bell tent for hire in July/August. Large yurt £499–£615 a week, weekends or midweek breaks £260–£295; small yurt £360–£550 a week, weekends or midweek breaks £220–£285. 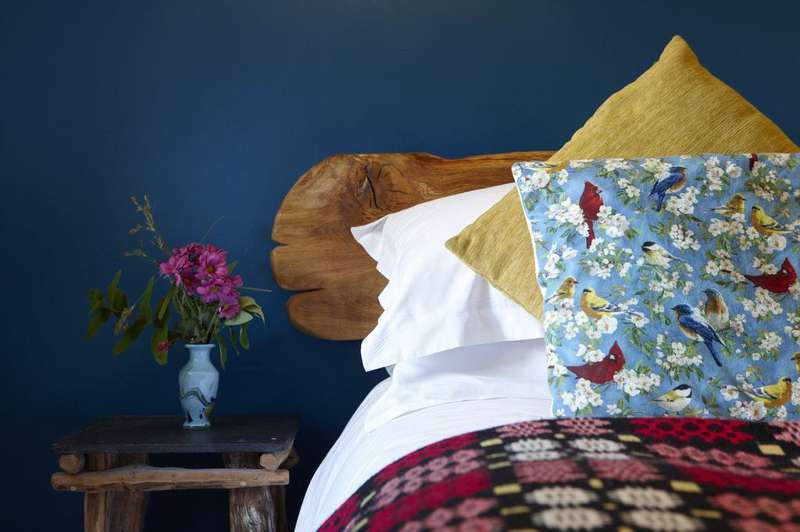 Caban £240–£285 for a weekend or midweek break. Bell tent £65–£75 a night. See website for camping and cottage prices. On the road between Dolgellau and Fairbourne. Turn off the A470 Dolgellau bypass and take the A493, signposted Tywyn/Fairbourne. A mile and half before Arthog village you’ll spot a post box on your right, and the site is 200 metres on from that, on the right. Morfa Mawddach railway station about 2 miles from site, accessible by foot/cycle path or bus. Sarah and John encourage public transport and can arrange pick-up from station for £10. Buses run between Aberystwyth/ Machynlleth and Dolgellau. Ask the driver to drop you off at Graig-Wen between Penmaenpool and Arthog. Buses and trains: Traveline Cymru 0871 200 2233. In wet weather, there are wonderful water fall walks or take an underground adventure to old slate mines. Corris Mine Explorers (01654 761244) takes adults and children aged 12+ into 17km of caverns and tunnels to get a really atmospheric experience of the old Welsh slate mining industry.